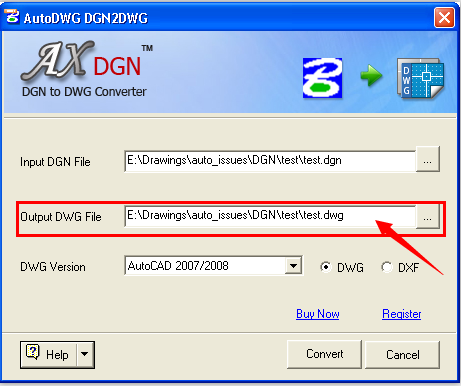 AutoDWG DGN to DWG Converter, Faster than ever! Stand-alone application, run without AutoCAD or MicroStation. Support AutoCAD DWG/DXF format from R14 to 2019. 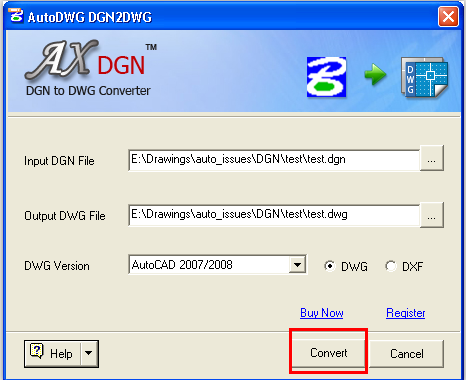 Batch convert DGN to DWG/DXF (Pro version only). Support command line (Pro version only). 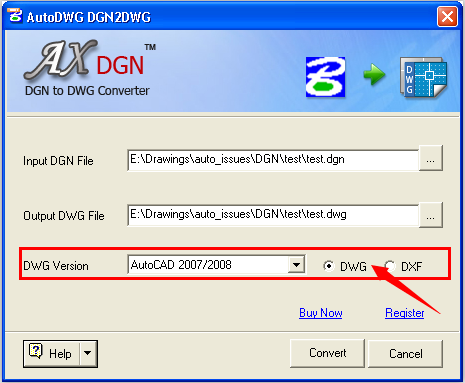 DGN to DWG converter is to convert DGN file V7&V8 to DWG/DXF easily. This featured DGN to DWG software is stand-alone, running without Autodesk product. DGN to DWG converter automatically handles issues about colors, font, layer, line styles and Xref for you. 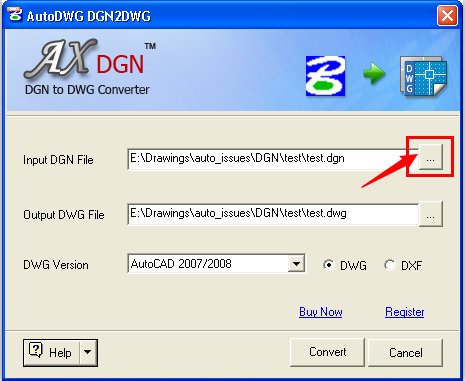 Just select the DGN file, choose an output version of DWG/DXF (R14, 2000~2019), click the “convert” button and CAD drawing will be generated at once. The Pro version allows selection of multiple DGN files and complete file folder to convert in one go. User can program to launch the converter by command line, for example, to launch the converter in VB program or a DOS bat file, which enables you to convert in silent without interface. 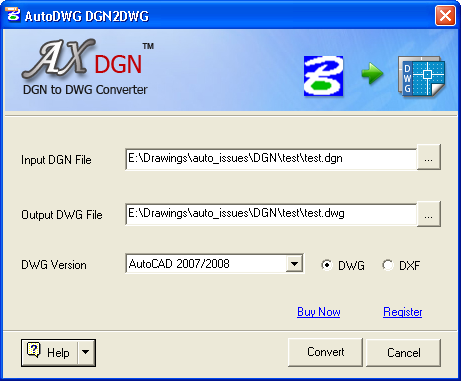 The latest version of this DGN to DWG Converter 2019 has been released recently. 1. What are the differences between the pro version and the standard version? The differences between standard version and professional version are, the professional version supports batch conversion and DOS command while the standard version does not. The professional version interface is as below and the conversion steps are same as the standard version. You do not have to install program on your machine, just email your DGN file to us and we will run the program and then email the converted dwg/dxf file back to you, please provide your order ID and the original file(s), then we will email you back as soon as we can.